So I'm a newb to riding, got into it because I was jealous of my little bro who has been riding for a bit and got an SV650. Jumped through the hoops, did the Basic Rider Course which I would recommend to anyone. 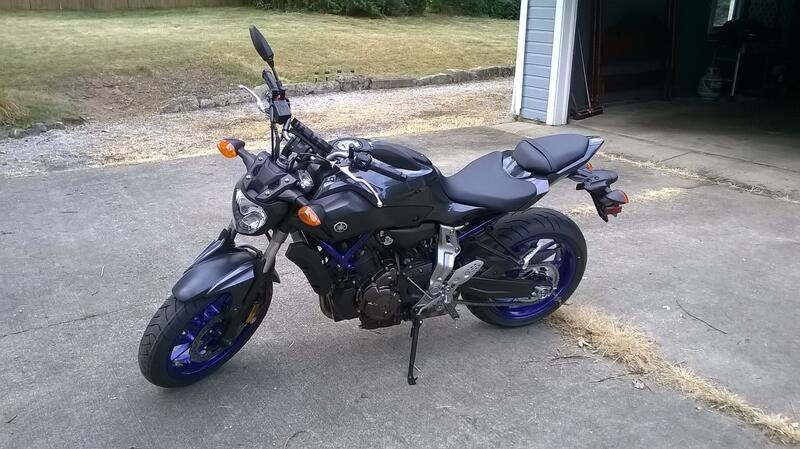 Now after much deliberation I decided on and got a great deal on a 2015 FZ-07!!! And I love it! So much fun! If you have any tips on riding for a newbie or specific to this bike I am all ears. I'm a little over 200 miles on it now and it seems I've run into a problem. I love accessorizing, and this bike is not immune to the habit. I added Woodcraft Frame Sliders from revilla, customtaylor33 reflective rim tape, the OPT7 Aura Light Kit, and I have a puig Rafele windscreen incoming. I'll try to throw in a video of the light show below if I can figure out how. Welcome biggaudi! Sadly, there is no known cure for the accessorizing problem. Until a 12 step program is figured out most people just submit. Congratulations on a good lookin' bike! Welcome biggaudi! Please be careful out there. If you're riding with little bro and he's going faster than you're comfortable with, don't try to keep up with him. Ride your own ride, pay attention to your surroundings and the what ifs, don't fixate on what you're trying to avoid. Good for you for taking the course and getting the liquid graphite one. I hope I don't sound preachy. It worried me when you said you're jealous of little bro. 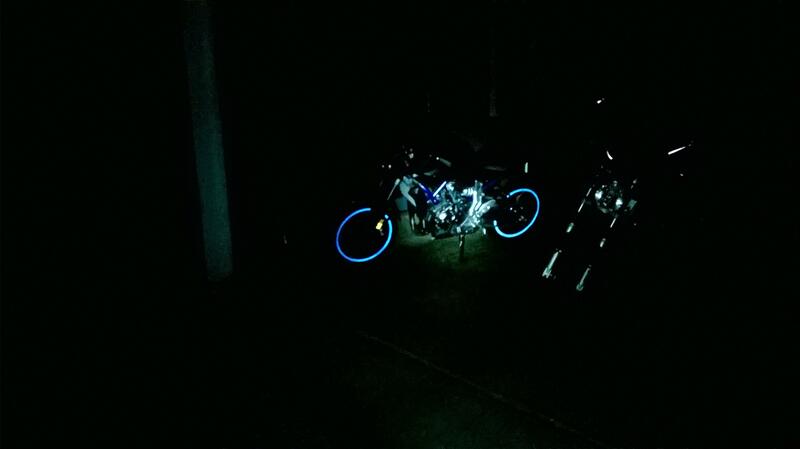 Well you got the better bike! Thanks for the tips Jetgirl. Not preachy at all, good looking out. And I'll definitely stick to doing my own thing for a while and ride defensively. I'll keep people updated on the accessories too Hippie. Though maybe I should hit a different category in the forum for that. Thanks again and glad to be a part of the family! Modding is an addiction. Once you start you can't stop. Doesn't matter how many wheels it has! Only newbie tip I have is to practice, practice, practice. Also, if you make mistakes while riding, pick yourself up and get back in the saddle and learn from those mistakes.